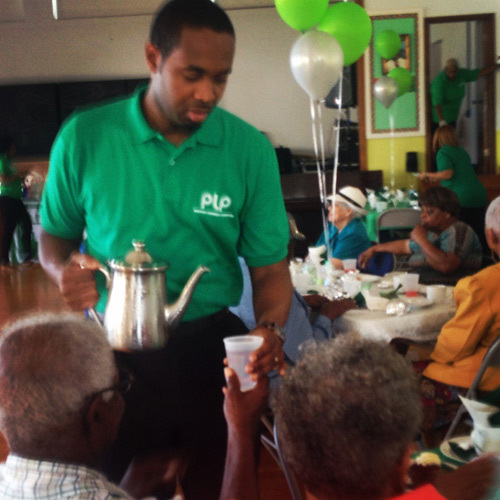 This last Saturday I was invited to assist with taking pictures at the PLP Constituency 18 Annual Seniors’ Tea at West Pembroke. The school hall was beautifully decorated with tables set according to the rules of proper etiquette. Well, as much etiquette as I know about. 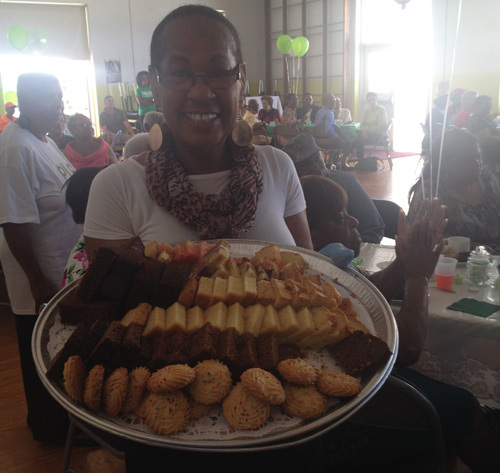 MP David Burt and his team skilfully and gracefully served tea, water, sandwiches, cookies, cake, scones and red velvet cupcakes. Among the scores of seniors attending, I saw many smiling faces. I saw many lifelong friends engaged in conversations. Some conversations were about present day situations, whilst other conversations spoke of days gone by. Then came a surprise treat from a group named Bermy Bouncers. This group consisted of young persons aged from 10 to 17. Young men and women of every persuasion: a true rainbow. 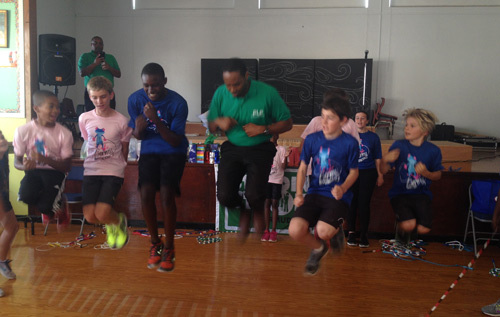 They specialize in coordinated skipping rope manoeuvres, blended with dancing, and a bit of gymnastics. They put on a fine performance for the crowd and, at one point, even had MP Burt skipping rope like a “kinda pro boxer”. At the end of their performance, they went around and thanked all of the seniors for warmly receiving them. After that performance, the seniors were treated to a quiz game by PLP chairman Mr Maynard Dill with participants being asked questions specifically pertaining to West Pembroke. Questions such as what was the name of the popular swimming area or how did the Western Stars Club get formed? I must admit, I learned quite a bit from the seniors. Coming from Pond Hill, I know very little about that part of Pembroke or “Key West” as some call it. Almost as if it was a whole other world unto itself. I cannot say how grateful I was for the many seniors that pulled me to the side and told me that they enjoy reading my columns. They encouraged me to continue to help educate the people of Bermuda. It is at moments like this that I am reminded how important it is for our history to not only be documented, but also to be shared at every moment. There is not enough space for me to list all of the persons I spoke to. But I sure as heck love getting hugs from these sweet ladies or firm handshakes from men of stature. I really do not want to face the wrath of anyone I may have missed out. To each of you that spoke to me, please know I cherish your support and will do as you asked. To all the seniors of Bermuda, on behalf of us who forget to tell you daily, thank you for all that you have done and continue to do for Bermuda and Bermudians.